The mountains can create a beautifully chaotic blend of furious cold, relentless precipitation and virulent wind. Sometimes you need to rely on a functional blend of your own. 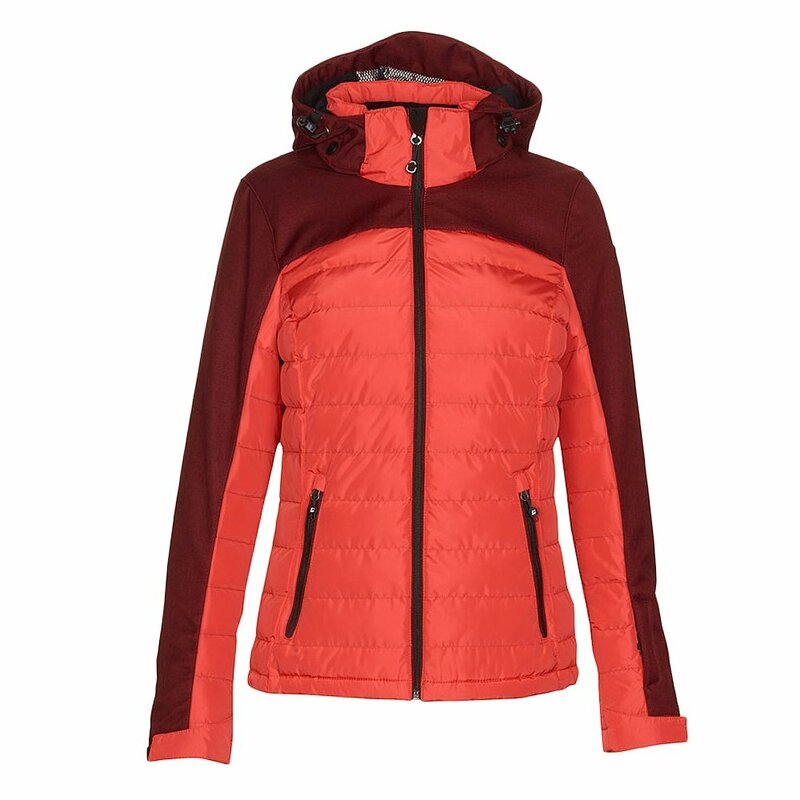 Killtec's Patisa Ski Jacket features hybrid construction designed for thriving in harsh mountain environments. Its mix of semi dull polyester, laminated soft shell and microfleece backer provides 8K/3K weatherproofing, warmth, athleticism and perspiration management. You'll attack the slopes in full comfort. A zip-off hood and snow catcher increase your coverage to ensure you remain comfortable in the face of beautiful chaos.